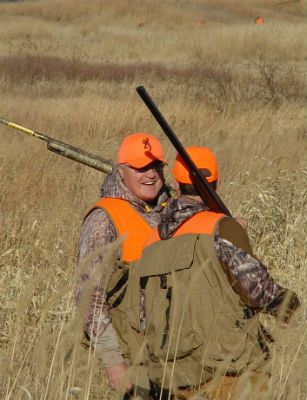 North Country Marketing, Ltd., an independent manufacturer’s rep agency, was organized in 1987 in Hugo, Minnesota, specializing in representing quality manufacturers in the shooting, hunting, and outdoor industries. Today, our home office and showroom are based in White Bear Lake Minnesota, and our salesmen cover 6 states in the upper midwest. A key factor that helps make North Country Marketing an industry leading Rep Agency is the excellence and experience of our sales associates. Combined, we possess over 200 years of industry experience, and most of our salesmen have extensive backgrounds in retail sales and management. We are also successful because of our own personal connection with the outdoors. All of our sales associates are avid outdoorsmen, and they love to get outside as much as possible and enjoy using the products that we sell. Our company is dedicated to presenting each line we represent with unmatched professionalism. North Country Marketing’s “team” philosophy and unique compensation structure insures a cooperative effort toward achieving growth and increased market share for each of our manufacturers. "Shooting Accessories Salesman of the Year" - Browning Arms Co.
“Lighting Salesman of the Year” – Browning Arms Co.
"Clothing Salesman of the Year" - Browning Arms Co.
“Knife Salesman of the Year” – Browning Arms Co.
“Rep Group of the Year” – Browning Arms Co.
"Gun Case Salesman of the Tear" - Browning Arms Co.
“Vendor of the Year – Wildgame Innovations” – Gander Mountain Corp.
“Gun Case Salesman of the Year” – Browning Arms Co.
“Clothing Salesman of the Year” – Browning Arms Co.
“Firearms Salesman of the Year” – Browning Arms Co.
“Accessory Salesman of the Year” – Browning Arms Co.
“Top Sales Agency of the Year – Clothing Division” – Browning Arms Co.
“Rep Group of the Year” – Magellan Systems Corp.